Decorating in the studio can sometimes be a challenge. With open shelves and books all over the place, decorating can be a challenge. So, allow me to introduce the mannequin bookends. 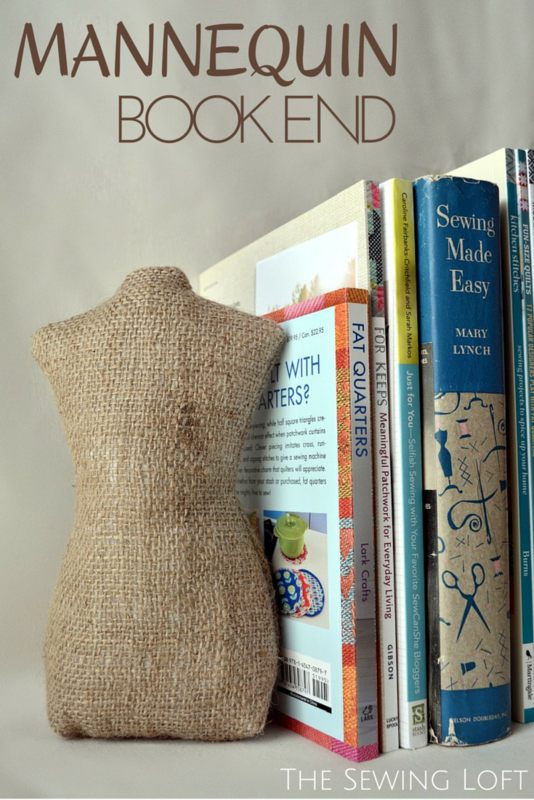 Not only are these bookends super easy to make but they can double as door stops. *Since burlap has a loose weave, I lined each pattern piece to prevent the filling from falling out. Print, pin and cut fabric to pattern. Pin right sides together and stitch all around with 3/8″ seam allowance; leaving an opening for turning. To form the corners, fold the side seam to match the seam along the bottom. This will form a triangle. 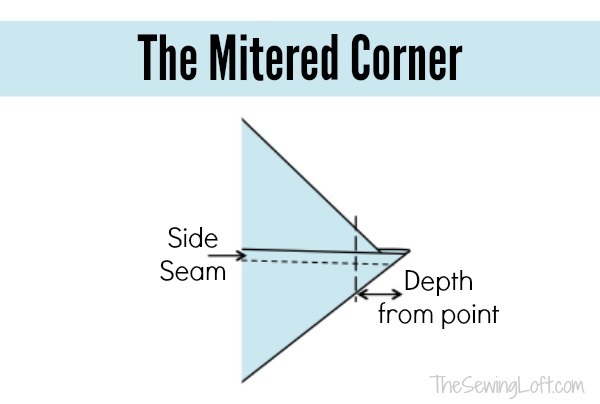 Draw a line 1″ from the point of corner and straight stitch. Clip excess fabric and repeat on other corner. Fill with stuffing of choice. I used a funnel and loaded mine up with reptile sand for weight. 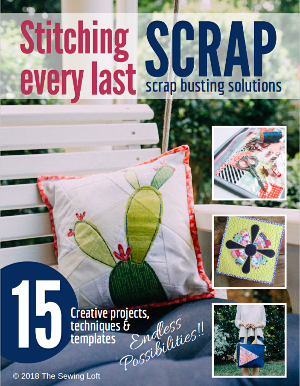 Slip stitch or ladder stitch the opening closed and place next to your favorite books! 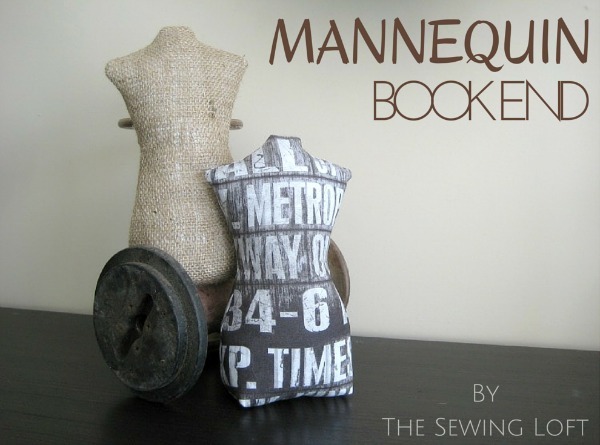 Click HERE to download the free mannequin pattern template today. 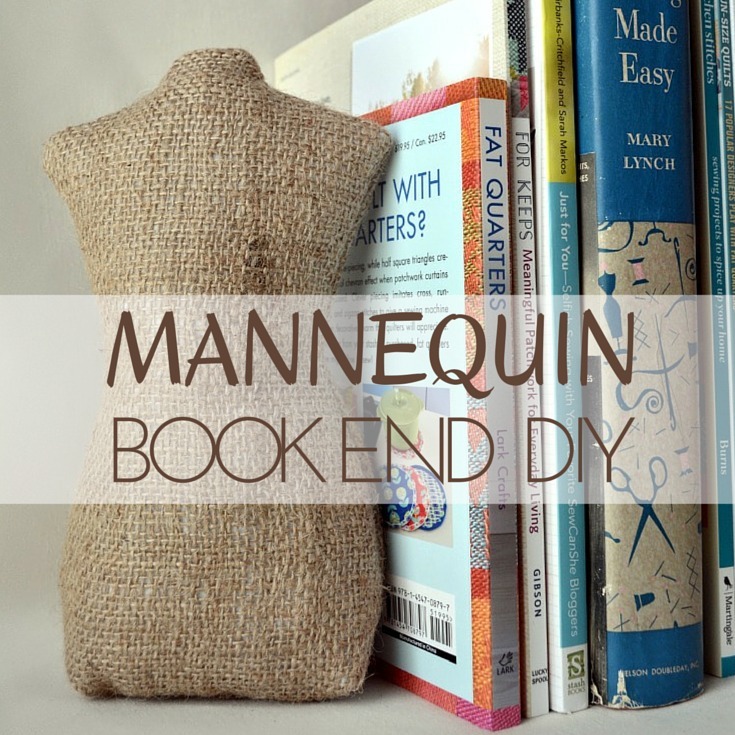 ps- this mini mannequin also makes the perfect door stop. So, don’t let slamming doors drive you bonkers when the windows are open! LOVE! LOVE! LOVE! These are so adorable!! Thank you for sharing this project. This is a must for my sewing studio. Yay, so glad you like it!! Be sure to share a few pictures. I used a different texture of sand than what you might find at the beach. Could that be why mine seems to have a slouch to it? Also, how do I add a photo? Hi, it is great blog post and great sewing project. The images are perfect and adorable. Wonderful project, thanks for share with us nice information. There is no template for this pattern. No matter which link you click on it takes you back to Craftsy with no template! 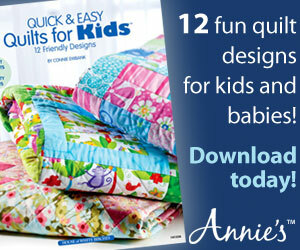 The pattern template is listed/hosted for free on Craftsy. Just add it to your cart and it will be forever live in your library. Awesome, love it. I am just going to use it as decoration in my sewing, craft room. Se ven tan grande Isabel . Gracias por compartir algunas de las fotos terminado conmigo. They look so great Isabel. Thanks so much for sharing a few of the finished photos with me. I was looking for a fun project; something to add to a shelf in my studio. Thanks for this great tutorial! This is just awesome. Thanks for sharing such a wonderful idea. Great beaches nearby.